10G SFP+ transceiver is one of Gigabit Ethernet fiber optic transceiver modules which are closely related with XFP, X2, XENPAK optical modules. SFP+ transceivers are mainly applied for Gigabit optical networking formation, with transmission rate of 300m, 10km, 40km, 80km. The connection type of SFP+ modules are dual-port LC.SFP+ optical transceiver module is a new generation of Gigabit optical transceiver, it comply with the ANSI T11 protocol to meet the 8.5G fiber channel and Ethernet 10G applications. Compared with the earlier XFP optical transceiver, its appearance size has reduced about 30%, just is the same sized of the ordinary 1-4G SFP optical modules. SFP+ transceivers only retain the basic elecro-optic photoelectric conversion function, which has reduced the design of the original XFP SerDes, CDR, EDC, MAC, conversion function, thus simplifying the design of 10G optical transceiver module, as well as the power consumption. SFP plus optical transceiver has the obvious advantages such as higher-density, lower power consumption and lower system construction cost and other significant features. The 10G SFP+ transceivers are widely used in Gigabit Ethernet fiber-optic data communications, and it has becomes the mainstream among the Gigabit modules. SFP+, X2, XFP and XENPAK all belongs to 10Gigabit optical transceivers. SFP+ is more compact than X2 and XFP. 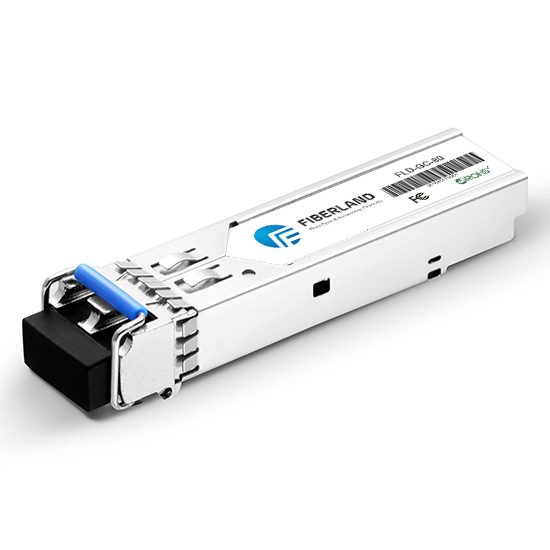 Besides, SFP+ has a strong compatibility which can be interconnect and work together with other 10G XFP, X2, XENPAK optic transceivers. As to the price, the SFP+ has more advantages than other 10G transceivers. SFP+ is similar with the SFP from the appearance, and they are all with LC connectors, but they are also different from each other. The transmission rata of them are different, SFP+ is 10Gbp/s optical modules, while SFP is generally 1.25G, 155M, 2.5G and other rate. SFP-10G-SR is an typical Cisco compatible SFP+ transceivers which is hot swappable fiber transceiver module with 850nm VCSEL transmitter and PIN photo detector, The SFP-10G-SR fiber optic transceiver features low power consumption and it support multi-rate from 2G fiber channel to 10G Ethernet.